I’m going to use an example based on my experience. Say I’m writing a blog post about “sleep tips for parents” for Mykidstime. What experience can you bring to bear on the topic? What examples do you have from your personal or work life? Luckily as a parent, I have some experience of sleeplessness from my two daughters so I am able to think of a couple of instances of things I tried. 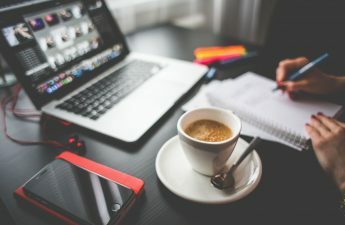 I think, no matter whether you are writing for consumers or businesses, bringing in real life examples to your writing makes it more real and authentic. The next thing I usually do is ask my team if they have any tips or insights about the topic. Your staff or contractors or suppliers are a good resource particularly if you are writing about a particular problem and how to solve it. Again, the Mykidstime team are all parents so they are a great resource for when I’m writing parent-type articles. If relevant you could ask your customers. You could send them a personal email or a mailing with a “Hit reply to let me know your story” request. 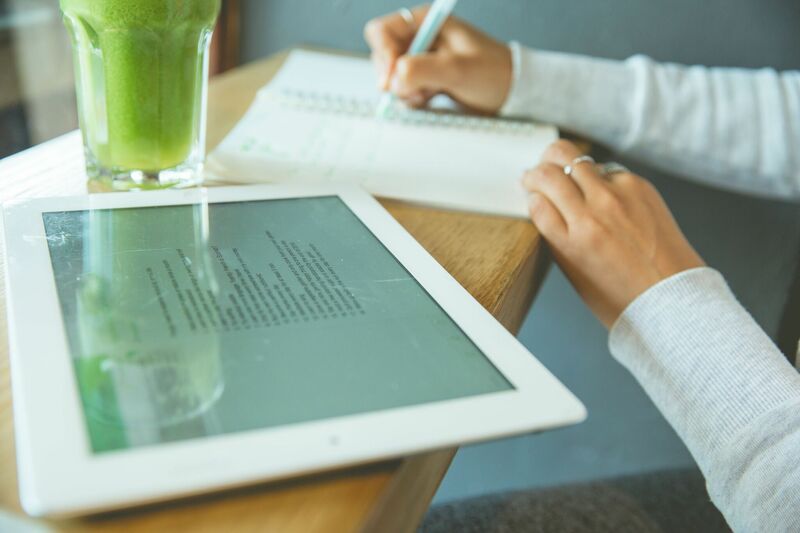 If you’re writing for other businesses this can be a good way of getting examples to include in your blog post. For my sleep tips I generally wouldn’t ask my customers, but if I’m writing a marketing article for businesses then I’d definitely reach out. Again, if relevant ask your social media audience or email mailing list. For my sleep tips article, I would definitely ask our social fans if they have any tips. Crowdsourcing content for your article is a good way to get authentic content. Tip: You can always anonymize the name, etc. depending on the nature of the topic. I head to Google next and spend a while looking up different sources on the topic. I’m not looking to copy anything but I am looking for ideas that I can write in my own words. 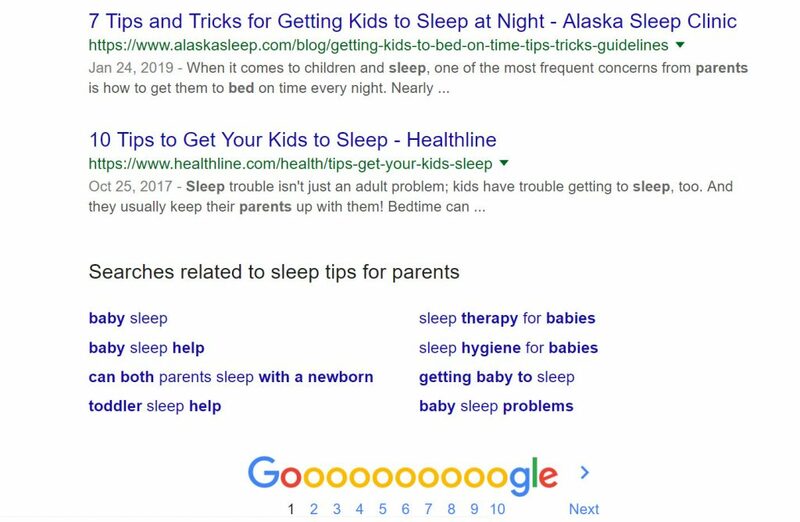 There’s plenty of good blog posts about parents and sleep, some are personal, some are written by experts, so I can always quote and reference and link to resources I find too. Tip: when you put in your search, check both the People Also Ask box and the longtail keyword phrases (at the end of the page). 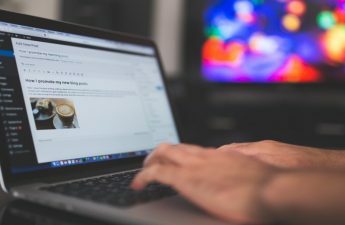 You may get more links and ideas for not only this blog post but other ones you could write on the topic. Next it’s worth heading to some social channels where you can take a look at keywords and see what people are discussing or sharing or writing on the topic. These are my go-to channels Twitter, LinkedIn (for business topics), Flipboard and Pinterest. I also keep an eye on the things I come across to give me ideas for e.g. infographics, new topics on the theme, or even quotes I can use in my article. Again, I’m not ever going to copy other people’s content, I’m just looking for ideas either to write in my own words or to quote or reference them. Tip: Set yourself a time limit here so you don’t spend hours going down the social media “rabbit hole”. If you feel they could help then ask or poll your Facebook groups. Depending on the membership, you could get some valuable tips and insights. If you have time or are organised ahead of time, set up Google Alerts. Check out Amanda Webb’s guide to setting up Google Alerts for content curation and more. So I could set up an alert to email me every time anything is published for “sleep tips for parents”. And then I check the alerts emails that come in to see if there are any useful sources or content. I haven’t actually used Quora actively but it’s something I have just added to my research process, so next time I’m writing something new I’ll be going on to Quora to search. 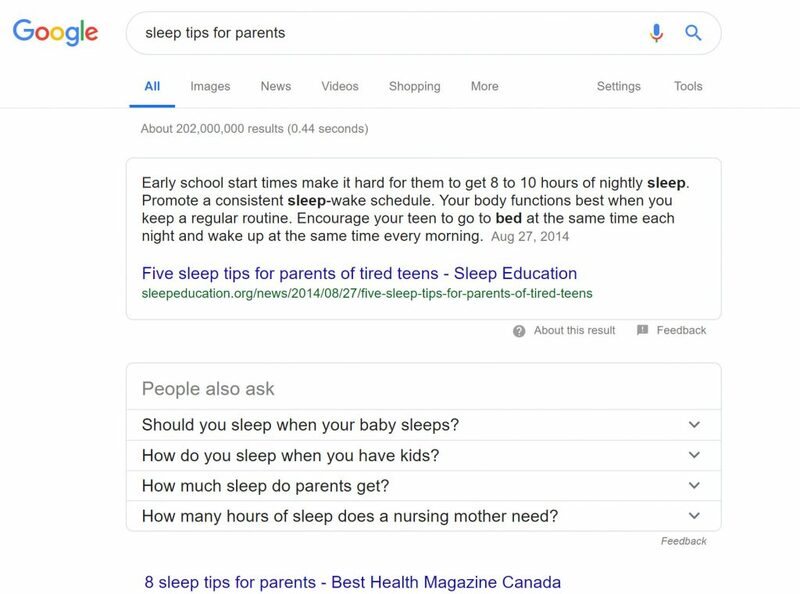 Here’s what came up just now for “sleep tips for parents” and when I clicked in the related question on the right hand side look like they could yield some other ideas. So there you have it. These are the main things I do to research for a blog post that I’m writing. I hope this has inspired you to research for your next blog post and to use some of the resources you have at hand. Over to you now. Any other tips for researching for blog posts that I missed? I’d love to hear from you in the comments below.